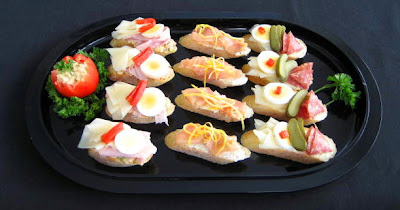 Since we are having two of our friends (neighbors and occasional golf partners) over for a small get-together before they leave for Florida I have decided to prepare few open sandwiches. 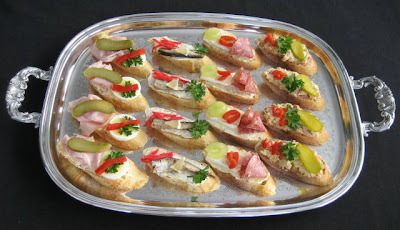 I already had the potato salad and three different spreads so it was just a question of assembly. When I look at it now it kind of got out of hand. Looks like there will be leftover for a breakfast J. I can’t wait to dig in and pig out. I’m pretty good at it as is every red blooded Czech when you put these sandwiches in front of them.